Yes, you read that right. You’ve waited. It’s here. And, we can’t wait to get it into your hands! Cricut is excited to announce that Knife Blade + Drive Housing for Cricut Maker™ is now available! We know that many of you bought your Cricut Maker in anticipation of Knife Blade, and you have been patiently – and eagerly – waiting. We have been just as eager to bring it to you. Our top priority is always to give you, our customers, the best experience possible when you craft with Cricut. We take this very seriously in everything we do. From designing in Design Space® to cutting on a Cricut machine to making projects with our vinyl, iron-on and paper materials, and even interacting with Member Care, we always have your experience top-of-mind. And, that is why Knife Blade took a little longer to come to market. We strive to make beautiful products that let you make beautiful things. Knife Blade, like Rotary Blade that comes with Cricut Maker, is truly innovative. We wanted to be proud of it, and importantly, your experience with it when you craft. Thank you, again, for waiting while we worked to bring you a first-class product. By the way, some of you might be thinking “What is Knife Blade?” Let’s talk about it! Designed to work with the Adaptive Tool System, Knife Blade features a steeply angled edge, so you can safely and easily slice through thicker, denser materials. 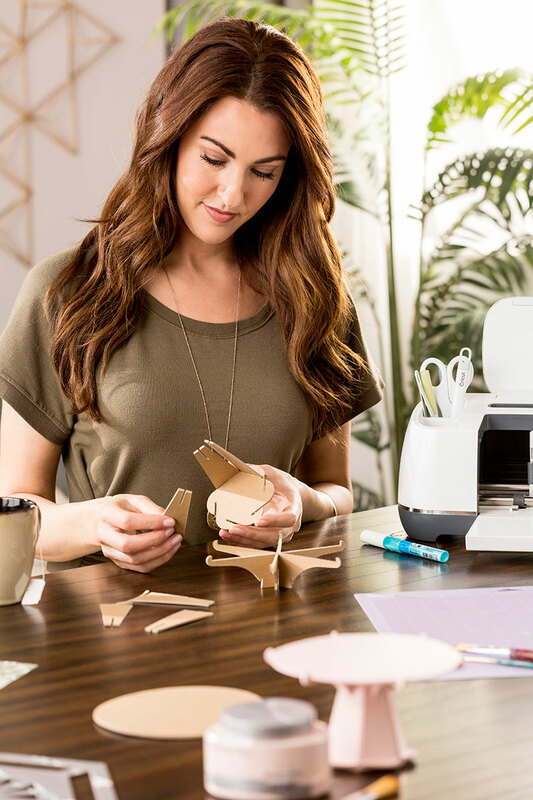 And with 10X more cutting power than our best-selling Cricut Explore® line of smart cutting machines, you’ll be astounded and inspired by all the new projects it makes possible. What Would I Make With Knife Blade? That’s like asking how many dreams you can have. Look for one-click projects or inspiration by searching Chipboard or Knife Blade in Design Space. You’ll be able to cut more materials and make more projects than you ever thought possible: puzzles, wooden dinosaurs, airplane models, foam toys, wooden signs, 3D dioramas, 3D home decor, leather accessories – necklaces, earrings, wallets and so much more! Add texture and dimension to any project to realize your most ambitious creative ideas. What Materials Can I Cut With Knife Blade? 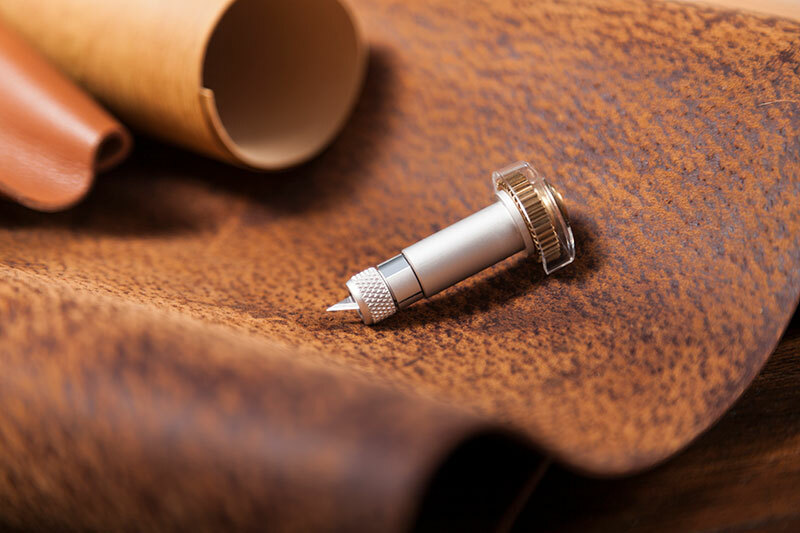 Materials such as balsawood, leather, craftfoam, and Cricut Chipboard are just a few examples. Check out the entire list here. Knife Blade + Drive Housing is for sale at cricut.com and on other major craft and fabric retailer websites. What Comes With It and What Does It Cost? Knife Blade + Drive Housing is priced at $39.99 MSRP. It comes with Knife Blade Drive Housing, Knife Blade, and a blade changing instruction sheet. We also have a replacement Knife Blade Kit priced at $16.99 MSRP, that includes a replacement Knife Blade, a blade changing instruction sheet, and a Safety Changing Cap for extra protection when changing blades. Where Can I Learn More About Projects and How to Use Knife Blade? Please visit help.cricut.com/knifeblade for more info on blade calibration, cutting times, cutting materials, and more. You can view all of the amazing Knife Blade projects in Design Space here! The Force Is With Cricut: We Now Have Star Wars™ Images! Thank you! While I understand the process of release took longer than you expected, I appreciate that you waited. Waited for when you were comfortable putting in the hands of excited crafters. Waited to get the bugs out. And you waited to keep the standard of excellence in tack. I appreciate your company and your continued support for our needs! Pingback: The Cricut Maker Knife Blade is Here! What is the thickness that you can cut with the new knife blade in the cricut maker. I still have the explore air. Does the Maker take thicker items than the Explore Air? It can be up to 2.4 mm thick. The max for the Explore is 2 mm. It work on the Explore Air?? This is for the Maker. Yippie Yippie Yippie! Need I say more? Uh ….yes, WOOHOO!!! Excellent cannot wait to get it. Its refreshing that you took the time to make sure you got it right and has safety as a priority! Please can you tell me when the knife blade will be available in the UK? Many thanks. Can I use this knife blade in my cricut maker I have. In the housing unit it came with?? Yes, if you get the Knife Blade housing, you can use this in your Maker. AWESOME, SO GLAD it’s finally here. Now if I can just find one in stock somewhere. Thank you for your quality standards. Can you use this on the cricut air 2? Hooray! I just got mine at Joann Fabrics for $23.99 using the Honey App. Cricut should have given a credit for all those that bought their machines when they thought the knife blade would be available in October, then December and finally moved it to sometime in 2018. We had to wait over seven months for this blade. I’ve read there is a new Adaptive Tool System which will be on all new Cricut Maker going forward. However, is it compatible with the original Cricut Maker and for those who bought it in anticipation of all the new capabilities, including the knife blade? Will those who bought their Cricut Maker in advance be able to exchange it for the new version? I CAN NOT wait to start using the knife blade and all that is more to come!!! Hi! Your Maker already has the Adaptive Tool System. It was included from the beginning when the Maker was released. The Adaptive Tool System uses gears to drive the gear on the blade housing. The Rotary blade housing has a gear on top, for example. If you would like to use the Knife blade (as well as future tools that we may create for the Adaptive Tool System), it will work with your current machine after you go through calibration. Can the knife blade be used on the explorer air 2 model? The Maker is the machine that this blade will work on. i just received my knife blade and i would like to know where can i buy the wood from the hardware store. or do i have to buy it from cricut. We have chipboard. You could try the craft stores like Joann or perhaps a hobby shop. A hardware store may have some that is thin enough. Pingback: 6 Best Cricut Machines of 2018 | Cut, Cut, Craft! Can we use this with all the machines??? This is able to work with the Cricut Maker only. Pingback: Cricut Maker Review: It's the best Cricut yet | Cut, Cut, Craft! When I bought my Cricut Maker it did not come with the knife blade as it was not released yet. NOW I see it comes with it, same price.. Are you sending the blades out to those who bought the Cricut before release? Would seem fair. I was unable to use the full features without the Cricut without it, and it was promoted to cut items that it could not without the newly released knife blade. Advise? Thank you. Otherwise, I love it! Hi. The Knife Blade does not come with the Maker. On the box, it notes that it is sold separately. I am glad you love your Maker. Can you only use with Maker or can you use with air explore 2. Hi. This is for the Maker only. I just purchased the Cricut Maker here in the UK….expecting delivery very soon! Very excited! Although, i cannot seem to find the deep blade with housing anywhere. It’s the reason i bought this machine. Can i buy this directly from the US?